Why isn't there a warning label that comes with cancer: Caution, your romantic relationship may terminate from your diagnosis! Sitting in my oncologist's waiting room, the pamphlets feature head-wrapped women surrounded by comforting family, none highlighted phone numbers of couples counseling. 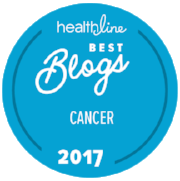 Why isn’t the rate of break-up mentioned during a breast cancer diagnosis, and how come help isn’t offered at the onset of a diagnosis? At my follow-up with breast surgeon Dr. Michele Blackwood, she learned of the recent demise of my relationship and wasn't surprised, stating 50% of couples break up during a cancer diagnosis. Shocked at the statistics and feeling cheated my ex and I weren't armed with the tools, I set off on some research, hoping to enlighten the effected couples that come after me. 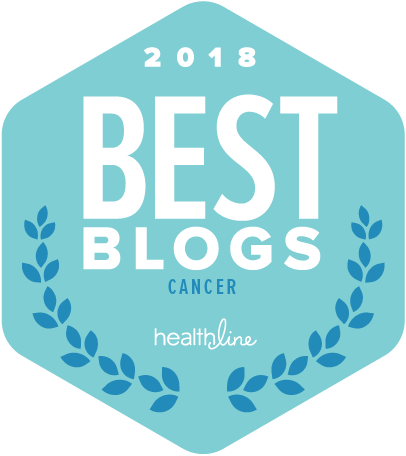 The Huffington Post’s Divorce and Breast Cancer: Your Marriage or Your Life, Amanda Deverich reports "At first, (Helen's) husband, Wally, joined her in the fight for survival, but the conflict proved too much and he pulled out." I can relate, my boyfriend at the time started out by saying he was with me 1,000% during treatment, but his promise quickly disintegrated and our relationship suffered, as his words did not match his actions. 'Being with a patient in treatment is more than driving to the appointment, sitting in the waiting room, and wishing it was over for everyone. Being with a patient is participating in the moment and setting your own uncomfortable, bored, or inconvenienced feelings aside. It tests a relationship,' expresses the #BCSurvivor. Frequently, my partner told me there wasn’t enough time in the day for him to work, exercise and emotionally support me, so he withdrew. Maybe he underestimated the strength and pace needed for the long haul, and needed to ask for support for himself as he tried to handle so much responsibility. He was gone twelve hours a day, so I leaned on many friends and organizations, but I did wish my partner to be there in a loving, supportive, non-volatile way. “Cancer throws a lot at a couple…research suggests that women are more likely than men to be victims of what's known as partner abandonment... even worse, emotional detachment.” Marianne, in the CNN article When Spouse gets Sick - Who Leaves? states, "'When I met Gregory I was very successful in my career, I was a prominent person in my community, I had a beautiful home. When a year later, I became a sick, disfigured, needy woman, Gregory was like 'This is not what I signed up for.'" The first two years of our relationship, my tall, athletic body was toped off with long, Barbie-like blonde hair; I looked good in his Porsche. It wasn’t until the threat of my disfigurement and the stripping of my mane, my confidence and my income did his emotional commitment detour. Hospitals and oncology practices may want to consider including social workers and family therapists as part of a patient's health care team. Diana Mapes of Today.com’s Cancer Kick-off: Getting Dumped After Diagnosis called Dr. Chamberlain to inquire about this imbalance, 'Men may be very well equipped to be primary providers but not so well equipped to be primary caregivers. I think men are challenged in caring for someone who has disease and treatment-related symptoms - managing the stress, managing the logistics,' declared Mr. Chamberlain, admitting that his results made men look like 'bottom-dwelling, scum sucking creatures.' Chamberlain says one thing they did discover was the longer a couple was together the more likely it was they'd stay together after a bad diagnosis. "Breast cancer is not good for relationships, but good relationships can be made stronger by sharing hardship." Visit You and Your Partner on breastcancer.org for effective tips on communication during cancer.